Are you ready for the #AWW2017 Bingo Challenge? If you find some of the categories difficult, you can be creative. For instance, a book with poems doesn’t have to be a poetry anthology or a verse novel, it could be a book with a poem as a prologue or one of the characters could stumble across a poem. You will also notice the use of ‘book’ rather than ‘novel’; we encourage all non-fiction aficionados to join in. For this second card, a ‘book of non-fiction’ could be a classic in its own right or a biography of a famous female writer. We will also leave it up to you how you define a ‘contemporary classic’. Having too many rules takes away from the fun of the challenge and we don’t want to do that. However, what we would love is for readers to be in search of forgotten AWW classics. To stay alive, books have to be discovered and re-appreciated by new generations of readers. If we let prior generations dictate our reading choices, how will we ever know what we might miss out on? I wonder if this year we can uncover some entertaining reads that have been forgotten, perhaps through censors or because they were consigned to the pot-boilers slush pile. A book doesn’t have to be profound to be worthy or leave a lasting impression. Last year we had a lot of last minute interest in this challenge with Christy Collins being the first to finish. Christy won a copy of Katherine Johnson’s The Better Son for her efforts, kindly donated by the publisher, Ventura Press. Look out for Christy’s interview with Katherine on the AWW blog this Friday. This year we have another great giveaway, a copy of Writing the Dream kindly donated by Serenity Press. 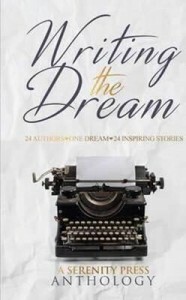 Click here to learn more about this anthology. Everyone who finishes one card by October 31st will be entered into the draw. 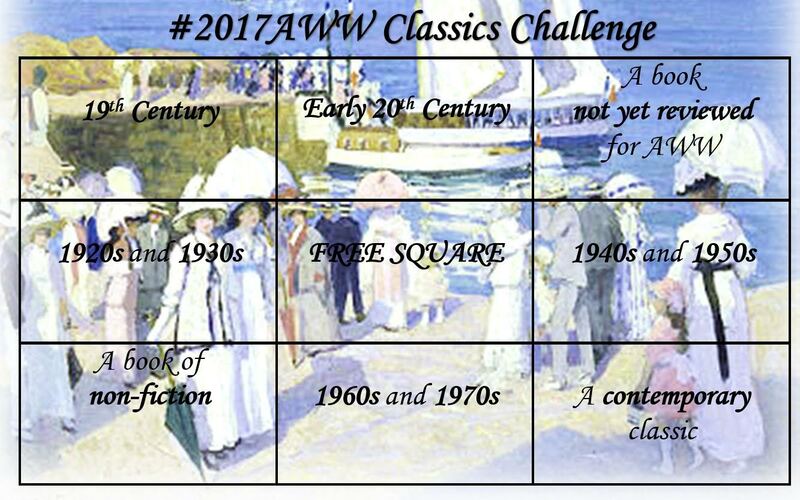 If you can complete both cards, you will have two entries – and we may be able to offer another great prize for the classics option. We hope to get more prizes as the year progresses so watch this space. Once you have read a book to match each square, write a short blog post summarising your reading and put your link in the comments below. If you don’t have a blog, you can add links from Goodreads or even just write out your list in the comments. About me: I live in the UK by way of Australia and blog at Orange Pekoe Reviews. Orange Pekoe was my preferred flavour of tea in Australia. It is like Lady Grey, only richer. Those with an interest in psychology probably have oodles to say about the fact that I am a hopeless coffee addict but have named my blog after a tea. 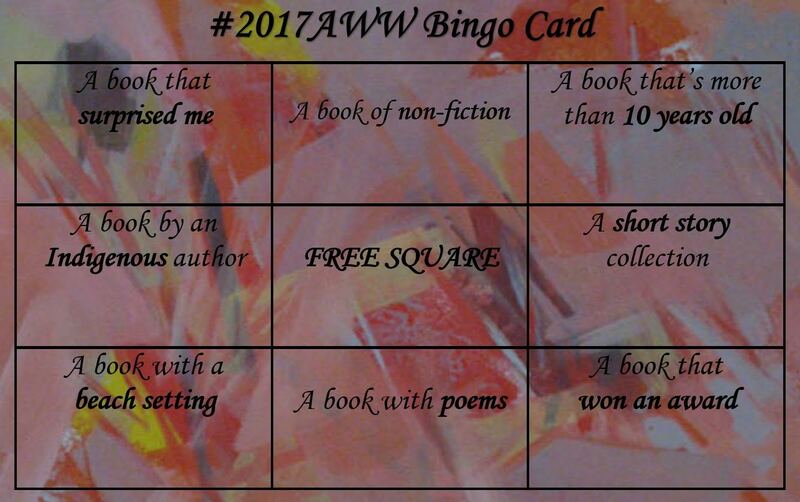 For the AWW 2017 Bingo Challenge- The book more than 10 years old – The Little Hotel by Christina Stead. The book by an Indigenous Writer, Sister Heart by Sally Morgan. The non fiction book – Australian Women War Reporters by Jeanine Baker. The book that Surprised me was On the Blue Train by Kristel Thornel. I thought it was just going to be a romantic mystery story but it was much deeper. It was a very good character study of disconnected people. I like both of these cards! Well done on the organisation of it. Just a little confused by the contemporary classic. Could I have an example please? Sorry I missed your query. That category is hugely open to interpretation, isn’t it? I’m guessing something like Looking For Alibrandi or Monkey Grip would qualify, but I’m sure others would have different ideas. For a really contemporary one, I’d say The Natural Way of Thing is destined to be a classic. After the death of Mr Conway leaves her in straitened circumstances, Mrs Conway and her three daughters, Dolly, Phyl and Weenie, move to Australia. It’s the end of the nineteenth century, and Mrs Conway hopes to make a new life for her little family. How successful will the move be? How will the family establish itself? I enjoyed this novel. I may not recognise all aspects of the setting, but that really isn’t necessary. It’s the challenges the little family faces which make the story interesting. And comparatively happy endings (for most) are always welcome. In this novel, first published in 1900, Ethel Turner draws on her own upbringing. After her father died, just before she turned two, Mrs Turner moved to Sydney with her two daughters. In many ways, this novel reflects the time in which it is set and was written. It reminded me (in some ways) of Louisa May Alcott’s ‘Little Women’ and ‘The Katy Books’ by Susan Coolidge (Sarah Chauncey Woolsey). This is only the second Ethel Turner novel I have read. Over fifty years ago, I read a copy of ‘Flower O’ the Pine’ (published in 1914). It was one of my mother’s childhood books, and I loved it. One day I’ll read ‘Seven Little Australians’. This is the life story of Auntie Veronica Brodie (1941 – 2007), as told to Mary-Anne Gale. This book was published in 2002. Veronica Brodie was born at the Raukkan Community (then the Point McLeay mission) in 1941, and was later sent to Adelaide by the Aborigines Protection Board to continue her education. No, I didn’t. And I’m disturbed by it. To read this book is to be reminded (albeit painfully) of elements of Australian history which are painful. I was particularly interested in Veronica Brodie’s account of the fight against the bridge to Hindmarsh Island (Kumarangk). How little we accept or know or choose to learn about other cultures. The campaign against the bridge was ultimately unsuccessful, but it did unite activists with local communities. Auntie Veronica Brady fought and won her own battle with alcohol, which she addresses in the book. She also suffered from a number of significant health issues. What an inspirational woman! Dorothy Porter (1954-2008) published seven collections of poetry, two novels for young adults, two librettos for operas performed in Sydney, Melbourne and London, and four verse-novels. She received a number of awards for her work, including The Age Book of the Year Award and the National Book Council Award (Poetry) for ‘The Monkey’s Mask’, and the FAW Christopher Brennan Award for Poetry in 2001. ‘Driving Too Fast’ was published in 1989, and is the first of her collections of poetry I have read. I will remedy this. Reading poetry is very much mood-related for me, and I need the time to read and reflect, time to follow the poet’s words in order to visualise and analyse the images. Between 1975 and 2009 life was usually too busy to take the time to enjoy poetry. It certainly wasn’t a time for me to discover and appreciate new poets, although I continued to enjoy poems by Mark O’Connor, Judith Wright, T S Eliot, Emily Brontë and (some) Thomas Hardy. The third section (‘Amulet’) is personal. These are ‘I‘ poems: about desire, dreams and love. I just wish I’d discovered Dorothy Porter earlier!